The 100% renewable energy Ontario California hydrogen refueling station has been offline from just about the time it was announced as opening in Q2 of 2018. The station still continues to be closed. Stratos is preparing a statement to explain what comes next & they should be publishing soon. 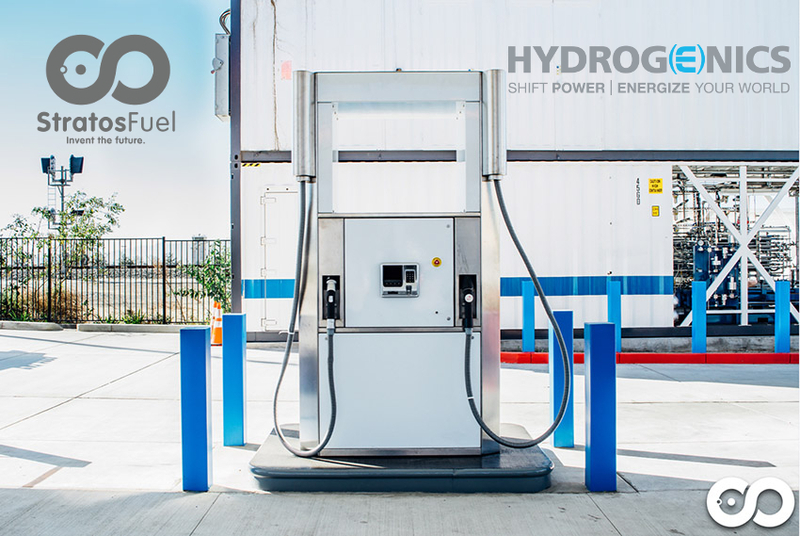 The Ontario California 100% renewable energy hydrogen station operated by Stratos that went online with Hydrogenics HyStat equipment less than a year ago in Q2-2018 has been offline from nearly the moment it was announced as the 34th public station to open in California. The station was talked about publicly as a twinkle in California Energy Commission’s eye in this presentation made by Catherine Dunwoody in June of 2014. Then in Q2-2018 Ontario’s hydrogen station was heralded as open to the public before quickly being announced as offline with problems. In June of 2018, sources told RMP that the station was expected to open back up to the public in October of 2018, but it never re-opened. Just the other day when pulling a fresh copy of the AFDC database to make comparisons from Q4-2018 to Q1-2019 the station status changed from Temporarily Unavailable to Public. The assumption was good news as it seemed the station may have re-opened to the public. But, that is not the case. CaFCP.org lists the station as unavailable. Checking with sources again, and they say Stratos will be releasing an announcement soon about the situation. From the sound of it, the manufacturer is not servicing the new equipment at the station. We will have to wait for Stratos to make an official announcement soon to know for sure. The Ontario Station was awarded $300k in maintenance & repair funding on PON-13-607 on August 24, 2015 from the California Energy Commission & the Ontario station was again awarded $300k in maintenance & repair funding on GFO-17-601 on January 8, 2018 from the California Energy Commission. In the most current award round (GFO-17-601) for this station on January 8, 2018 (you can see on the link) the funding was disqualified twice for technical performance issues before finally being awarded the additional $300k on January 8, 2018. Otherwise noteworthy in California are 3 stations listed on the CAFCP in December 2018 that were shown as Santa Monica, Irvine, & Walnut Creek but are now listed as Culver City, Laguna Beach, & San Jose. The stations originally said “Seeking New Location” on their status so it is not that much of a surprise that all three have been given new locations. Outside of California, the HRS at the Hawai’i Natural Energy Institute on the Kaneohe Marine Base has had its status change from Private to Temporarily Unavailable on the AFDC database. The Hawaii Center for Advanced Transportation Technologies station in Honolulu, a private hydrogen refueling station, no longer shows up on the AFDC database at March 31, 2019 but it was on the database at December 31, 2018. Surprisingly, there are none. No new stations opened to the public. As stated previously, the Hawaii Center for Advanced Transportation Technologies station in Honolulu, a private hydrogen refueling station, no longer shows up on the AFDC database at March 31, 2019 but it was on the database at December 31, 2018. No new rows (i.e. stations) were added to the database in Q1 of 2019. Most all of the changes in the database were covered in the opening couple paragraphs. January 5, 2019 – The Royal Society of Chemistry published very thorough article about H2 Economy touching on almost everything important. This article is deserving of its own blog post if time permits. Link here. PDF version. January 7, 2019 – Air Products news release says they plan to build a 2nd hydrogen liquefaction plant in California to meet increasing market demand. Link here. January 9, 2019 – Fuel Cell Energy LLC to receive $3.76M award from SCAQMD California to build renewable power plant in Orange county (heavily populated area). Plant will produce heat, electricity, and hydrogen from landfill gas. This story covers the award money but the specs on the plant I read in another story. Link here. January 9, 2019 – Toyota & PACCAR (Kenworth) announce at CES that they will put ten Class 8 hydrogen trucks on California roads as part of project portal. Link here. January 17, 2019 – Korea Herald article about Hyundai’s ambitious plans to build 6.2M FCEV cars by 2040. Link here. January 18, 2019 – Canadian Autoworld story about Canada’s plans to build the H2 station in Quebec City. Partnered with Hydrogenics to make H2 from hydroelectricity. Link here. 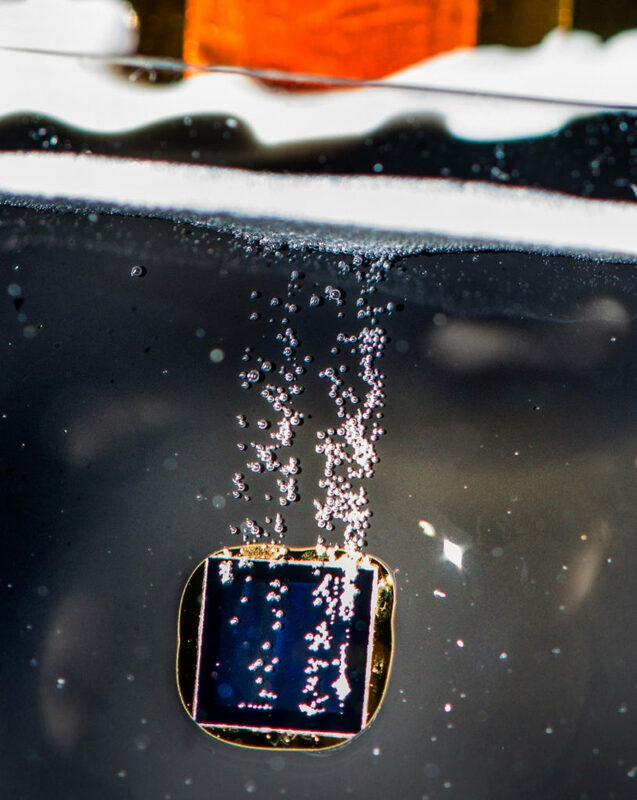 1/18/19 – Email from the U.S. Department of Energy’s (DOE’s) Fuel Cell Technologies Office announced a Memorandum of Understanding (MOU) with the Michigan Economic Development Corporation (MEDC). This MOU aims to enhance collaboration on hydrogen and fuel cell research and development (R&D) with the state of Michigan to promote private investment and domestic job creation. This is the first big news about hydrogen infrastructure in RMP’s home state of Michigan. Yay! January 29, 2019 – Fort Lewis Hydrogen refueling station (the most recent station the AFDC database) will be carbon negative using biomethane to make hydrogen. 19 Plug Power class 1 GenDrive fuel cell fork trucks & one 35’ Proterra battery fuel cell hybrid bus will be fueled by this station. The station is to run a 24 month pilot program for data collection. Also, TARDEC & DOE’s FCTO announce memorandum of understanding to work together on mutually beneficial tech. I read this as linked to new Fort Lewis station & many other Department of Armed Forces stations & also to GM & ZH2 with TARDEC. Link here. Short video posted by Garry Golden on his twitter: https://twitter.com/garrygolden/status/1093619228152946689 Video ends with this “follow us at https://fuelcells.io/” Which turns out to be a really cool H2 website with all things hydrogen. Website is “powered by” CodeSwitch. Very cool the stuff you can do with money [sigh]. Remember you can make tax deductible donations to RMP by clicking here. RMP has same size budget as the emissions from a Toyota Mirai. February 25, 2019 – Air Liquide announces announces the construction in Canada of the largest PEM (Proton-Exchange Membrane) electrolyzer in the world in Bécancour, Québec with a 20MW capacity for the production of carbon-free hydrogen. This investment allows the Group to reaffirm its long-term commitment to the hydrogen energy markets and its ambition to be a major player in the supply of carbon-free hydrogen. Sideways. That’s the term to describe USA & Canada infrastructure progress in Q1 of 2019. No new stations were added to the AFDC database. Stations that were operated by Linde are now operated by Iwatani. Three stations that were planned for one city are now planned for another city in California. A private station listed in Hawaii has fallen off the database. The Ontario station in California that was supposed to open back up is still having problems & remains unopened. There really is not much forward progress this quarter in terms of stations opening but this quarter’s story is still part of the evolution of the infrastructure progress teaching us that this is how it goes in the real world. There is a Chinese proverb I remember hearing many years ago that says “That which grows quickly, withers rapidly. That which grows slowly endures.” That saying stuck with me because it resonates as true. Think about Milkweed versus an Oak tree for instance. Hydrogen infrastructure is slowly growing like the oak to endure. It’s slow going because it is growing brick by brick. As the components used to build hydrogen stations & the know-how expands, we will reach a point of proliferation where we will come to realize that those in California who have worked so hard to make this happen have paved the way for the rest of us. A tipping point is still anticipated in 2020. 2019 should have quite few HRS that will open to the public to set the stage for Grand Opening party in 2020. As RMP wrote about in 2015, the Tokyo Olympics in 2020 are a major milestone event that will show the world that the technology is here to stay for the next 100 years. It was true when I wrote it in 2015 and it is still true today. The momentum is building and the technology is proven. We are now in the scaling up phase of the hydrogen economy and RMP looks forward to continuing our documentation to chronicle the progress. Join us next quarter when we will look back on the next 3 months of progress. 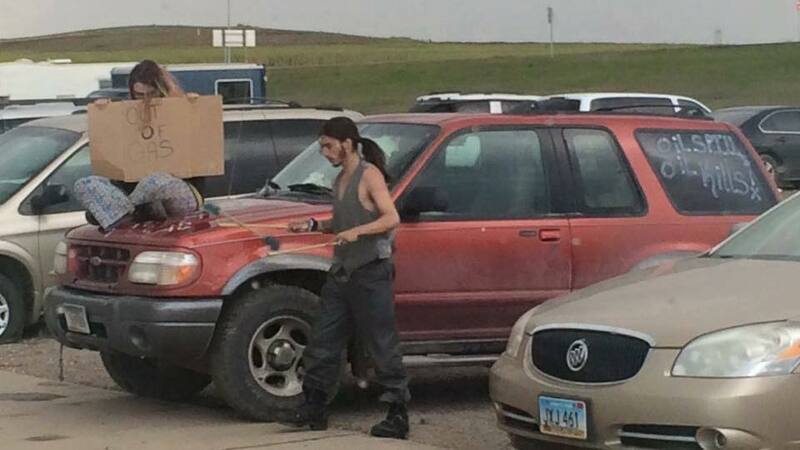 There's a paradox related to oil pipeline protests: they will not stop nor even slow down the use of oil. Only ridding our society of internal combustion engines will end the use of oil. Internal combustion engines are the reason we have oil pipelines and getting rid of them is the only way to get rid of oil pipelines.